Welcome to Fleet Equipment‘s Future Focus, a video series that details the latest in truck technology and evolving equipment solutions. 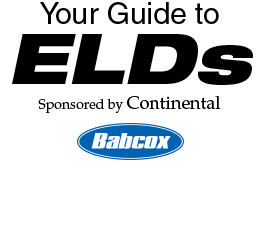 In our first set of videos, Senior Editor Alex Crissey is your guide through the electronic logging device (ELD) mandate, which goes into effect on Dec. 18. Watch Part 1 of our Future Focus on ELDs for an overview of what is required of your fleet to comply with the mandate, and then watch Part 2 for a Q&A with PeopleNet’s Eric Witty for a deeper understanding of the mandate and a look at some exceptions and use cases.